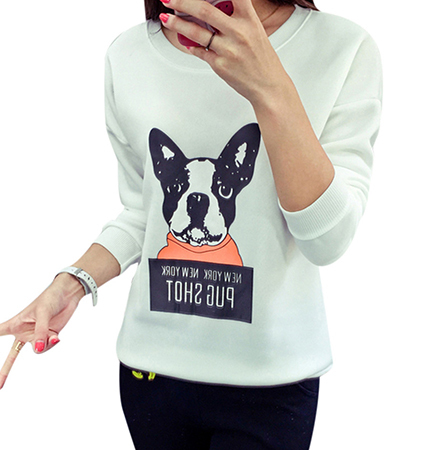 This is a cute, long sleeved tee shirt that features a Boston Terrier logo on the front. It is presented in five different and delightful color choices. Select your favorites from gray, white, black, red or navy. The shirt features a simple round neckline that has been double reinforced to help it retain its original shape. The tee has flattering three quarter length sleeves. It is completely machine washable in warm water and may be tumbled dry on a low heat setting. The shirt is available in sizes Medium, Large and Extra Large.